This is the 4th year Haunted Gauntlet has been commissioned to create a musical mashup of Maha lineup artists for the official www.Mahamusicfestival.com site and promotional videos. Woo-ha! ORDER HAUNTED GAUNTLET VHS ON BANDCAMP HERE!!! 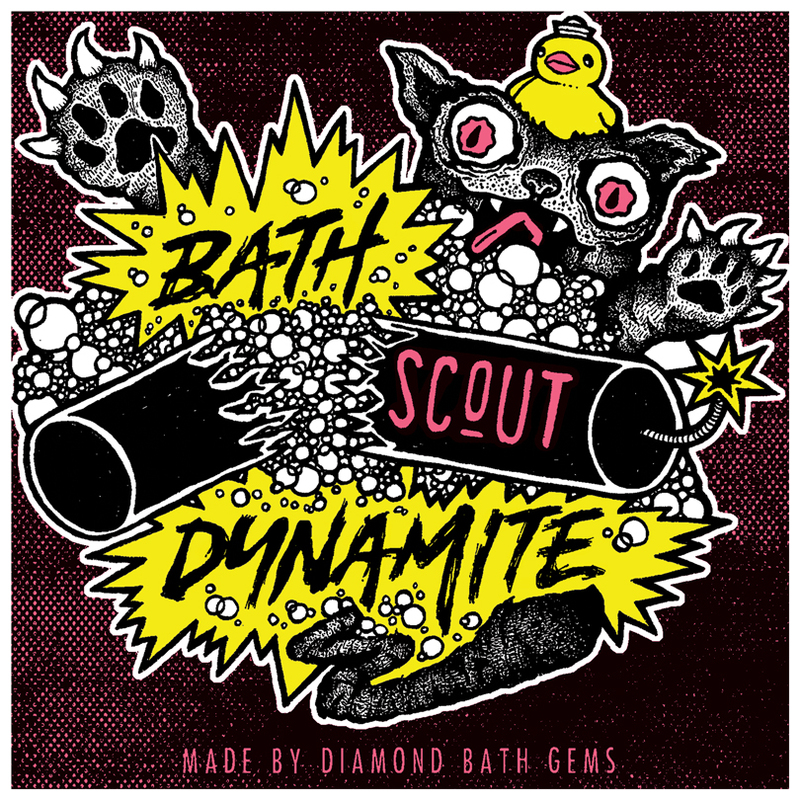 Scout commissioned cousin Haunted Gauntlet to illustrate designs for their 10 year anniversary as well as labels for their Bath Dynamite! Shop Scout. Bless Up. I was commissioned by CEO of Native Morels to create a one of a kind hand drawn morel themed illustration for prints, t-shirts etc. Imagine your most epic morel dreams and make them realities, can you find all the hidden gems?